User experience (UX) and information architecture (IA) are two areas of expertise that are truly crucial to successful website development. However, people tend to be confused by what UX and IA actually are, and, more commonly, the differences between the two. Throughout this article, I’ll explain and define UX and IA, and then dive into the key differences, as well as how these two areas work together. Believe me when I tell you that they are different, and knowing and understanding the differences will allow you to plan for and create even better websites in the future! Perform a Google search, and you’ll be provided with an overwhelmingly large amount of varying definitions, all trying to describe the modern version of user experience and how it relates to websites. 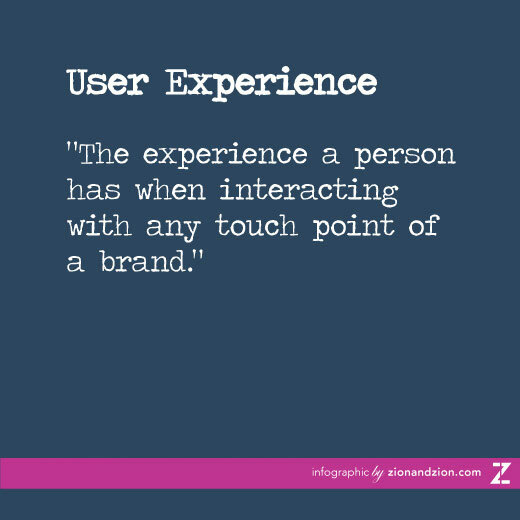 Personally, Lisa Murray’s definition hits home with me as it describes precisely what user experience is, without tying it to a certain industry or job title. 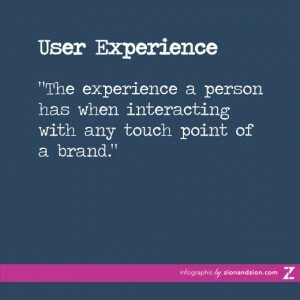 While user experience is heavily related to web development, it is not solely related to the web, and that is why this definition is so on point. As a user (i.e. customer, potential customer, etc.) interacts with any touch point of a brand, whether it be a brand’s website, mobile app, interactive display wall, restaurant menu, or brochure, they are experiencing something. Now, it’s our job as UX strategists and designers to ensure that their experience is as seamless and intuitive as possible. Information architecture is something that’s been around since the beginning of time. Labeling and organizing information in a way that makes it intuitive for the user. No matter what it is that is being organized, structured, and labeled, IA is at the heart of it. However, in recent years, information architecture and web development have quickly become inseparable. If you’ve ever poked around on the Internet looking to find something, chances are you have seen websites that are organized terribly, resulting in you either having to spend a substantial amount of time trying to find the information you need, or, resulting in you hitting that back arrow and going to a new website. That my friends, is an example of a poor IA. Now that you have a better understanding of what user experience and information architecture are, let’s dive into understanding how these two areas work together and where their differences lie. Building the structure of a website in the form of a wireframe is considered information architecture. At Zion & Zion, we perform content audits and competitor analyses, build personas, use card sorting, and other various methods to create the best possible organization and structure for a website, based on the necessary content and information. From there, we put all of our findings and decisions into a well-thought-out wireframe that shows the blueprint of the website. Throughout all of this, we are constantly thinking of the user(s) and making changes and decisions to ensure that the structure and organization provide them with a user-friendly experience. Now can you start to see the overlap of UX and IA? Content strategy is all about finding the perfect balance between providing users with the information they want (and need) to see, and providing users with the information the client wants them to see. Strategically writing the content in the proper voice and style that will relate to the users of the website. Thinking of ways to integrate certain content into various pages of the website, drawing the user down the path that we (and the client) want the user to go down. Deciding where and when to supply users with certain pieces of content, and when it may be best to hold back. There is a lot to consider when planning a website, and both UX and IA play a vital role in making decisions. For instance, say we are building a website for a flooring company. Sure, we will want to provide users with easy access to peruse the various types of flooring the company offers; but we may also want to incorporate a deeper content strategy into the mix. One strategy could be to integrate design tips and DIY projects into the product pages so that as a user is browsing products, they are being presented with relevant information to the product(s) they are currently looking at. A user who is unsure of a certain product may ultimately decide to purchase it after seeing that the product they are looking at has made it into the client’s “Latest Flooring Trends” blog post. Knowing where in the IA to integrate this content, and how to do so in a way that benefits the user rather than turning them away, is just another part of the UX strategist’s job. With the right team, a website can truly become anything you want. However, just because a certain type of integration or fancy animation seems “cool,” does not always make it the best choice for your website. The key here is to really understand your users. Working on a website for users who are primarily teenagers versus a website whose primary users are 55+ will undoubtedly result in a different strategy, different IA, and ultimately different functionality types. Know when (and where!) to incorporate new and unique functionality and when to leave it out. Design can dramatically affect the usability of a website. Picture this: You have a website where one of your goals is to drive users to click an email sign-up button. If that button is designed in a way that it blends in with the rest of the website design and is barely noticeable, you will probably not receive a lot of submissions. However, if that button is purposely designed to grab the user’s attention and ensure it stands out from the rest of the site’s design, as well as appears clickable to your users, chances are, you’ll receive a heck of a lot more submissions! Elements such as icons, tooltips, and navigation types can all play into how user-friendly, or not, your website is. It is up to the UX strategist and designer to work closely together in order to ensure the website’s UX strategy is incorporated into the final design. As you can see, design can play an integral role in the user experience of a website, but doesn’t normally affect the information architecture as much, if at all. People are always asking what the difference is between user experience and information architecture. I hope that after reading this article, you understand how the two differ. But you’ll probably notice that I didn’t answer this question by simply listing out the difference(s). Instead, I explained how the two actually work together. I did this intentionally. In my line of work, the two really do go hand in hand. When it comes to planning a website, you can’t go about your work without thinking about the two, even if you do so unintentionally at times! Love it? Hate it? Either way, I’d love to hear from you. Tweet me at @kristi_bee.